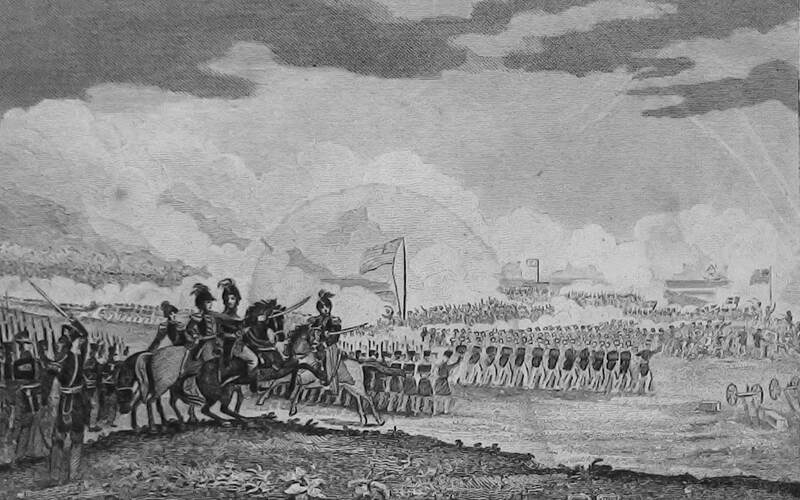 The final major battle of the War of 1812 was a series of engagements fought in New Orleans between December 23, 1814, and January 8, 1815. The Battle of New Orleans immortalized General Andrew Jackson, then, and rock-a-billy troubadour Johnny Horton 150 years later. More than that, it was a turning point in American and European relations. The Noel Collection, in conjunction with the symposium commemorating the bicentennial of the Battle of New Orleans, “The Battle of New Orleans Real and Remembered,” (Nov. 13-14, 2014), had on display several books, maps, and pamphlets relating to the battle and its key players. These included first-hand accounts from combatants on both sides of the conflict, contemporary biographies of Andrew Jackson and the Lafitte brothers, and maps detailing troop movements. Photo from: Goodwin, Philo A. Biography of Andrew Jackson, President of the United States, formerly Major General in the Army of the United States. New York: R. Hart Towner, 1835.